The Museum of Modern Art and Diller Scofidio + Renfro, the architects for the next phase of MegaMoMA’s inexorable campaign to conquer W. 53rd and 54th Streets, purportedly took the better part of six months to figure out what to do with the former headquarters of the American Folk Art Museum (AFAM). 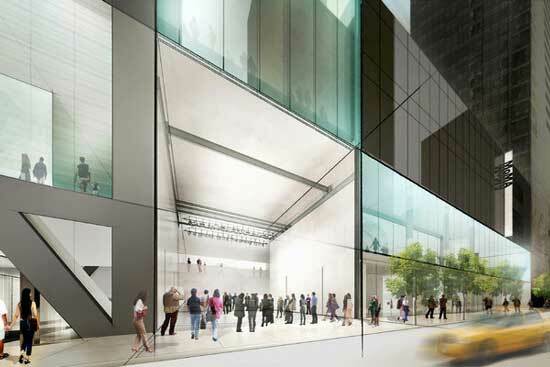 They decided to do what MoMA had wanted all along—knock it down. The analysis that we undertook was lengthy and rigorous, and ultimately led us to the determination that creating a new building on the site of the former American Folk Art Museum is the only way to achieve a fully integrated campus. 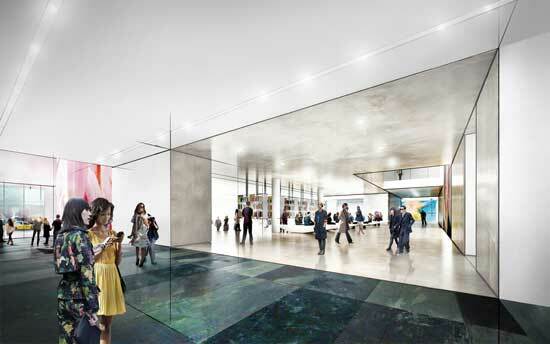 As a major component of the Museum’s desire for greater public access and a more welcoming street presence [something that the AFAM building lacked], the preliminary concepts approved today will transform the current lobby and ground-floor areas into an expansive public gathering space, open to the public and spanning the entire street level of the Museum, including The Abby Aldrich Rockefeller Sculpture Garden. In advance of these plans, the Museum will increase free public access to the Sculpture Garden later this year. MoMA bought the flagship building of the financially strapped AFAM for $31.2 million in 2011, in a deal that I criticized at the time because AFAM never sought other potential buyers to determine whether it could have gotten a better deal than what MoMA had offered. I had previously suggested that the best solution for the AFAM building might have been to preserve its distinctive (if somewhat forbidding) façade while significantly reconfiguring and integrating its awkward, cramped interior space, making it more hospitable to art and visitors. 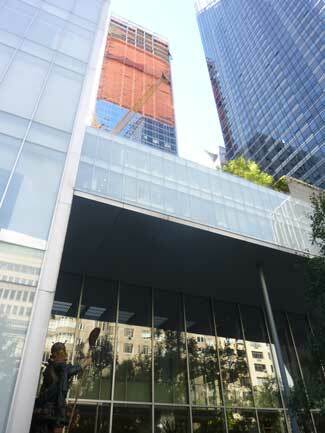 The new sleek glass-and-steel façade of the “expansive,” “integrated” MoMA, judging from the above rendering, looks like an imposing, intimidating headquarters for Art, Inc., not a purveyor of messy, lively creative ferment or “a place that is at once subversive and affirming,” as Lowry would have it. If MoMA really wants to have “a more welcoming street presence,” it should tear down the W. 54rd Street prison gates, erected as part of the Taniguchi-designed expansion. 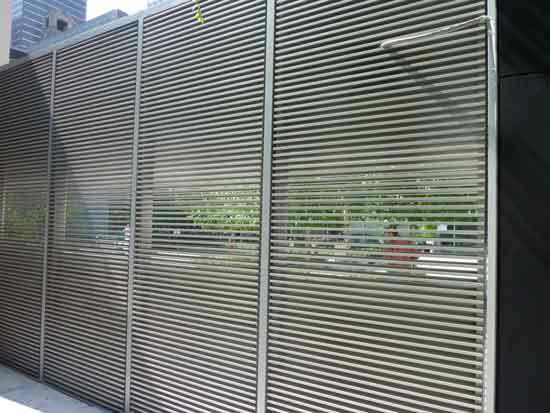 This unsightly screen prevents passersby from enjoying a view of the Sculpture Garden. MoMA had committed to improving the visibility of the Sculpture Garden from the street and to “enhancing the pedestrian experience on W. 54th Street” at an October 2009 City Council hearing on the planned Jean Nouvel-designed tower (where new MoMA galleries will occupy three floors) that will rise to the west of MoMA’s current facility. If MoMA’s promises can be relied upon, this situation may soon be remedied, and then some: NY Magazine‘s Justin Davidson reports that the reimagined MoMA will include “new access points, including a free 54th Street entrance to the Sculpture Garden.” But making access to the garden free for all will likely destroy its quality as a relatively peaceful oasis in frenetic Midtown Manhattan. Its carefully designed aesthetic appeal will likely be seriously compromised by the addition of a lot more seating to accommodate the crowds. To the left of the open entrance, it appears that a grate blocking the view from the street remains. Some privileged journalists (not me, alas) were wooed by MoMA at a “three-hour closed-door briefing,” as described by NY Magazine‘s Jerry Saltz . They were offered much more information on the MegaMegaMoMA than what dribbled down to me later in the one-page statement from Lowry, linked above, and a two-page Vision Statement (below the “Future MoMA” statement). For many more details about the building plans, I recommend Robin Pogrebin‘s NY Times report. As foretold to me last September by Lowry, plans for the reconceived galleries, expanded by 40,000 square feet (with 30% more space for the collections), call for intermingling works in all mediums and from all disciplines (photography, architecture, design, film, media, prints, drawings, performance, painting, sculpture). That’s exactly what was supposed to have happened with the Taniguchi expansion, where the initial plan was to break down departmental walls and present fully integrated installations—another promise that remained largely unfulfilled. 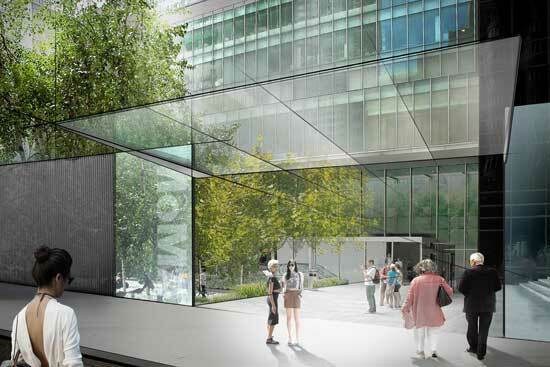 Imagine the Museum of Modern Art with its entire ground floor, including the Abby Aldrich Rockefeller Sculpture Garden, reconceived as an inviting public gathering space. That cavernous Taniguchi lobby, usually large enough to accommodate art aficionados by day, does get crowded as a “gathering space” for VIP events at night. Think they’ll invite me to the opening?